I hate that I've been 'away' from blogging for so long! However, I've been spending an incredible amount of time helping race tracks and other business owners navigate Facebook changes and updates over the past year. Here are 3 quick things you should do TODAY to help with your reach - because let's face it, we are all feeling the effects of this mega media giant! In general, posts that are not boosted have a 3-5 hour shelf life. Once it’s posted, it’s basically not seen after 3 hours unless it’s viral. Take a look at your Insights page, and go to the 'Posts' tab. Scroll over the days of the week to see when your users are typically online. As you can see in this graph, these fans tend to be online around noon and 9pm (spikes during those times). Plus, we determined their fans are online on Thursdays more than any other day of the week. So, that says - they need to make sure their message is LOUD AND CLEAR on Thursdays (post 3 times!) - noon, 5pm ish and then again around 8-9pm to have the BEST chance of reaching their audience. Are you paying attention to your peak times and still not seeing reach? Consider posting at very 'off' times. Why? Because there is less competition out there on Facebook in newsfeeds. Try a 10pm or 11pm post. Is your audience international? Be sensitive to shifts in time zones. You have to be creative! You have to engage with your fans and not ‘always be selling’. There is an 80-20 rule. 80% of content is informational, fun, educational. 20% is selling. You should post at least once, 7 days a week and 2-3 times on the days when your audience is online the most. 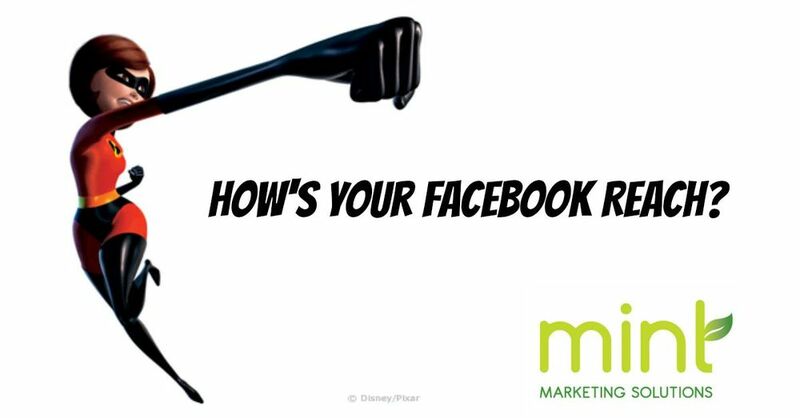 Determine what your ‘secret’ formula seems to be for a Facebook ad budget - does $200 really get you a lot of activity and $50 not much? Does $50 do it just fine? I know that’s not possible every week, but it is effective when paired with fun, interesting and ‘behind the scenes’ content. Add in a blog post, email newsletter, plain-old text updates, links, photos (stay tuned - graphics are my biggest passion on Facebook) and of course - native video. Another tip I've seen, is posts from your mobile phone AT YOUR PLACE OF BUSINESS tend to get better reach. Maybe Facebook knows you're there and identifies that as more of an organic, and authentic post? I'm studying this carefully. Facebook just introduced a new way for fans to prioritize your content. It's called 'See First'. Basically, either via your mobile phone or desktop, you can click and make the posts of friends or fan pages you choose to see first. For example, my daughters are at sleepaway camp this week. I am following the Facebook page like a hawk looking for pictures of my sweet teenagers. However, to make it easy, and not miss a post, I simply went and said I wanted to 'See First' this page. I'll do it for a few weeks, and then I can switch it off if I want to. Simply ask your fans to do the same by creating a cool graphic showing them what to do. I chose to 'white out' some of the personal information that pops up as an admin of a Facebook page and did my editing on www.picmonkey.com (love this site). Try these 3 tips this week, and see if it helps! I'm curious to hear. Stay tuned for my next blog post about graphics!